THERE ARE SIGNIFICANT delays to some rail services this evening as we move into Friday rush hour due to a number of incidents during the day. Just before noon, services through Sallins, Co Kildare, were suspended to allow emergency services to deal with a tragic incident on the line. This impacted on service through Heuston in the afternoon with significant delays. Services resumed through Sallins at 2pm but the knock-on delays have continued for commuters going to and from Heuston. The 1300 Heuston to Cork train was also stopped at Hazelhatch in Kildare at around 3pm due to a mechanical problem and customers were accommodated on the next service to Cork. An hour ago the rail company said the 16.25 Cork Heuston service would be cancelled due to the knock-on disruptions from the Sallins incident and the earlier mechanical fault. These customers will be accommodated on the 17.25 service. 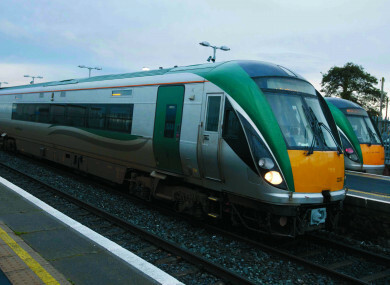 In its most recent updates, Irish Rail said significant delays remain to all services to and from Heuston Station due to the two earlier incidents as well as a trespass at Kildare. Update: significant delays remain to all services to/from Heuston Station due to incident at Sallins, mechanical fault at Hazelhatch & now trespass at Kildare. Delays up to 120 mins to some Intercity and up to 60 minutes to Portlaoise commuter services. Delays of up to 120 minutes to some Intercity services are being reported. Tresspassers have been cleared at Kildare and trains in both directions are resuming. Email “Delays of up to 120 minutes on rail services after tragic incident, mechanical fault and trespassers”. Feedback on “Delays of up to 120 minutes on rail services after tragic incident, mechanical fault and trespassers”.